Spring sees yet another exceptional line-up of feature films here at Triskel. 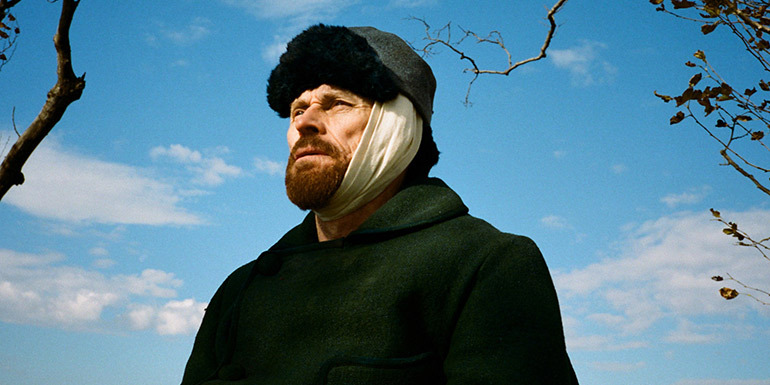 There is the biopic of Vincent van Gogh from the director of The Diving Bell and the Butterfly with an Oscar-nominated performance by Willem Dafoe. We bring back the incredibly popular documentaries The Camino Voyage and RBG, along with the powerful new Irish film Unquiet Graves, and a final chance to see the Academy Award winning film Free Solo. There are films by female directors Sara Colangelo (The Kindergarten Teacher), Alice Rohrwacher (Happy As Lazzaro), Carol Morley (Out of Blue) and Josephine Decker (Madeline’s Madeline). There are films from Israel (Foxtrot), Sweden (Border), France (Sorry Angel) and Italy (Loro). And, last but not least, we have the fondly remembered classic Steven Spielberg production The Goonies. Click here for a little look at what’s coming up!